Each two-day class is well organized, filled in advance, and planned to run seamlessly. Didactic sessions are planned in the morning, and are open and engaging. Afternoon sessions are all procedurally focused. Everything from suturing techniques, joint aspiration, and central venous catheter insertion is covered live, in person, and in an organized manner to maximize your time and perfect your technique. In total, 75 topics are covered! Over 20 EKG abnormalities are included! 12 pulmonary clinical scenarios and current management guidelines! Current PQRS and documentation guidelines. In total, 31 procedures are included in our afternoon sessions! To focus on your individual needs, class sizes are kept to a maximum of 30 participants per class. Coffee, drinks, and lunch are provided. Each of our courses are two days in length from 8am – 5pm. This is the actual course curriculum for the Advanced Practice Provider Clinical Skills Workshop 1. Every student will receive the same exposure and hands-on training in an organized round-robin fashion. Additional after hour time with procedure simulators may also be available after the first day session has ended. In addition to earning continuous education credits, we offer a program certification option. If you choose to take our test and score high enough, you will receive a certificate and a Letter of Recommendation from the Medical Director to share with prospective employers and credentialing boards. Anyone who has tried to get their first job without experience can validate how important a letter like this can be to supplement your credentials and help verify your abilities. If you have been looking for validation to help you stand out from your competition, look no further. Put another way – our medical director believes that our program and focused resources will help your clinical skills so much, that he literally put his name on your success! This is another bonus included in your program registration package. How does this course compare to others? Unlike other courses that last more days, have more students, and cumulatively are more expensive when you add travel costs, our courses allow for intensive training on key topics, with one-on-one education in a small group setting. You can’t beat our combination of lecture material and hands on procedure experience, and our locations and guaranteed rates are the the most affordable around. There are no hidden fees, and no add on costs – our lectures and procedures are all rolled into one well-organized two-day experience! No add-on fees for additional material. What you see here is what you get, all for one low price! Great rates at the hotels where we hold our programs! Also, don’t forget – your time is also your money. Extra hotel nights and time away from work or home has an additional cost! Why spend several days in a classroom when you can get it all done in two? Provider Practice Essentials does not have a dedicated brand, corporation, contracted agreement, or preference of one specific medical equipment manufacturer over another. As a result, you will get hands on training with multiple different brands and types of equipment that you will likely use in the clinical setting where you will work. We do, however, value our close relationships with the designers, inventors, and vendors of the best medical simulation equipment available. *The Live lecture program is approved for 22 AAPA and 22.25 AANP (including 1.25 pharmacology credits). 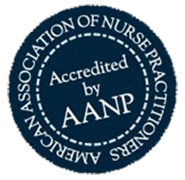 Additional CME is based on approval by the AANP and AAPA, and will be offered through our membership resources portal. Certification is an option included in the program and is based on mastery of procedural skills and a validated 50-question written exam based on our program material. Regular additions will be made to our resources content.